On June 20th, VIATeC honoured KIXEYE‘s Clayton Stark with the Colin Lennox Award for his role as a tireless, passionate tech champion. I had the pleasure of sitting down with Clayton in his office on the fourth floor of the historic Board of Trade building in Bastion Square to talk about what this award means to him, what he’s excited about right now, why he loves mentoring, and what he’d like to see improve in the future. Here’s my conversation with Clayton. MLW: Clayton, let’s start with the award. What does it mean to receive this award from your peers? CS: Personally, it was a fantastic moment for me. It’s been 20 years of having a chip on my shoulder about Victoria and working incredibly hard to make things viable here. We’ve had successes over the last couple of decades so to see that there is enough momentum behind the work that a lot of us do to push this city forward was fantastic. A lot of us have been working hard over the years so to have the recognition from peers was terrific. It was also important enough to me that I brought my dear old mom and dad along as well as the (KIXEYE) crew. It was pretty neat to have them experience it as well. MLW: The Colin Lennox award is recognition for your role as a technology champion. What exactly does a technology champion do? CS: I’ve had the good fortune of having had experience in a variety of businesses so I can help with a number of things – access to the right creative and development resources. I’ve been working and building teams here for a long time, so I can help with access to talent. I routinely meet with people over coffee or lunch and I’m happy to share the wisdom I’ve gained from my experience with someone who’s trying to get off the ground. I love business strategy and business plans and I usually have something useful to say either in a commercial dimension, a logistical one or a technology dimension. Sometimes, in the course of a cup of coffee, we’ve made a huge change to a business’ outlook. 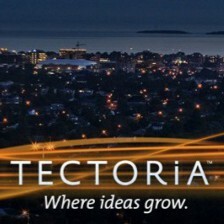 When Experience Tectoria happened here, I was able to bring in some of the finest Silicon Valley venture capitalists to meet with a few startups. They were willing to lean in and give them a little seed money to help them get off the ground. That was really encouraging. MLW: What advice would you give new and emerging start-ups? 2. Listen. That’s true in life generally and certainly true in a team, and in business. 3. Be voracious about your appetite for learning. 4. Lean into your mentors. There’s so much to be learned from the guy who’s one rung up from you who can teach you. If it wasn’t for some of the mentors I’ve had I wouldn’t have developed the tenacity or the skill set and I wouldn’t have pushed to create the opportunities. MLW: Who are some of your mentors? CS: Will Harbin, the Chairman of KIXEYE is high on my list. He’s a brilliant guy with great business acumen. I’ve also had the good fortune to work with quite a few high-end Venture Capital (VC) firms and they are a font. Watching great CEOs and building relationships with them is fantastic. They want to know me as much as I want to know them. The advice from these accomplished businessmen is always very good. MLW: Do you consider yourself a mentor? CS: Very much so. I’m passionate about helping people remove barriers, most of which are completely artificial. What you believe is what you are. I’m also passionate about getting people back to the basics like communication. I counsel people that “communication is the most potent element of our existence”. Learn to communicate. Communicate vigorously. Communicate thoroughly. That means learn to listen. That’s how teams work, it’s how families work, it’s how society works. About 99.5 % of all the problems on any project come down to communications. I’m also a little brazen (even though I may come across as shy and reserved). I can kick over some of those barriers with some passion and that’s helpful and I can be in your face. You need to not be scared. That’s when things unlock. It’s so rewarding to watch someone grow in their careers and see them blossom into something that otherwise would have been latent. I’ve felt a lot of squishy, good feeling with the mentorship I’ve provided. MLW: What impact do you hope your mentorship has? CS: A broader scope, more opportunities for success, and ultimately a fuller life. So much time is wasted when people feel cloistered. Ask yourself, “What do you have to lose?” Cast off aspersions, take a few in the shoulder and just push. Why wouldn’t you? I’m often confused by the reservations inherent in so many humans. If I can push people to get off the pot they’re going to end up with more, and be better off. We’re in a lucrative business here, which means more money and more experiences. Some say you learn more from your failures than your successes but I tend to prefer success over failure in my ventures. I want to support creative expression, people who are passionate about something they want to build. It’s great when I see somebody whose head is up, chest is out, marching at a quick pace and on top of their game. Sometimes I’ve had a little bit of influence that’s enabled that. That’s pretty awesome. MLW: What do you find the most rewarding about what you do? CS: Pouring energy into these teams is very rewarding for me. I see them grow up, move, shake, change and in a few cases, they get to the next level. I have a lot of energy for what I do and I’m able to give something of value and that feels really good. It’s like parenting. You watch your children grow and you have a role to play in shaping their lives. Sometimes I see people hemming and hawing about making a decision. My advice is that ‘making a decision is better than not making a decision, even if it’s the wrong decision’. That’s a cliché of course because it’s true. In the end, you move forward and you learn something. No industry even comes close to technology in Victoria. There is no upstream. This is the top of the food chain. The choices the secondary and tertiary industries make are guided largely by this primary industry and that has an impact all the way down the stream. Those of us who are pushing really hard to bring business here are ultimately helping families at all levels. At the end of the day, if I can look back on my career and see how many growlin’ tummies got filled because of the push I was able to put in, that’s a huge reward. MLW: What do you find the most challenging aspect of doing business here? CS: The punitive government laws about tax. Revenue Canada’s Scientific Research and Experimental Development Tax Incentive Program (SR&ED) rules are preposterous. If you’re a Canadian controlled private corporation (CCPC), you can get 40 – 45 % of your R&D costs rebated, and, you can borrow against that to make it about $1.65 per dollar. The investment structures are broken. If you’re not a CCPC, (meaning 51% of the money you spend comes from a foreign source), then it’s not a tax bonus, it’s a rebate against taxes paid, and it’s 17%. If you’re a pre-revenue start-up – a promise of a really great company – getting a rebate against taxes paid doesn’t help you because you haven’t paid any taxes because you haven’t made any money and the damages are considerable. There’s no excuse for the punitive damages from SR&ED. It’s like they’ve forgotten one important thing. These are Canadians we’re employing. Canadians who are paying taxes, a lot of taxes here. It’s ridiculous. It’s a Revenue Canada thing and the province just follows along. I’m glad we get the 17% but we have to structure our companies in such a way to recognize profit in order to even get the 17%. Try to get investment of any magnitude in Canada here. It’s pointless. You simply can’t get meaningful funding in Canada. It’s as if the government is saying a) we don’t want you in Canada and b) we don’t want foreign investment. That’s the biggest headwind. I do everything I can to smash against it. MLW: What do you do to smash against that? CS: I try as hard as I can. I scream from the rooftops. I don’t expect an answer and I’m certainly not going to stop because If we ever manage to get things turned around, we’d see these young companies get access to meaningful funding. When you’re in the early stage, you can’t have the financial damages dealt to you or you won’t make it. We just have to take it on the chin. We have to be extra good to be successful here but the bar is a lot higher than it should be. MLW: Let’s talk about Victoria. Why do you choose to live and work here? CS: For me it’s personal. I choose to be here because I choose to be with my family. I’m from here. I was born here, my family is here, and my children are here. My mother lives in the house that my great grandfather built for my grandmother as a wedding present who then lived a 70-year marriage in. My mom will die in the house she was born in. I’m not going to phone that in. That may be a Canadian sensibility but it’s very important to me. I’m willing to put my kids to bed and then go back online and work ’til 2 in the morning as opposed to miss the actual life of my children. When you’re born and bred in a place, you love where you’re from. I love San Francisco – it’s a great place to visit but honestly I was trying to figure out how to get home before I left. After that the natural environment is a big part of my life. I spend a lot of time sitting around a campfire reconnecting with my kids. This has always been, other than the punitive government problems that I’ll keep smashing my head into for the rest of my career, a fantastic place to do business and there is no reason to not operate a business here. We also love this building and we have a wonderful space. And if the view out the window isn’t good enough, (picture the sun sparkling on the harbour, float planes landing and taking off, sailboats and kayaks darting back and forth, and a festive, bustling vibe in the square below), we have access to the roof as well. We have a little cluster here. We look right in at the Zynga office across the street, Microsoft is nearby. 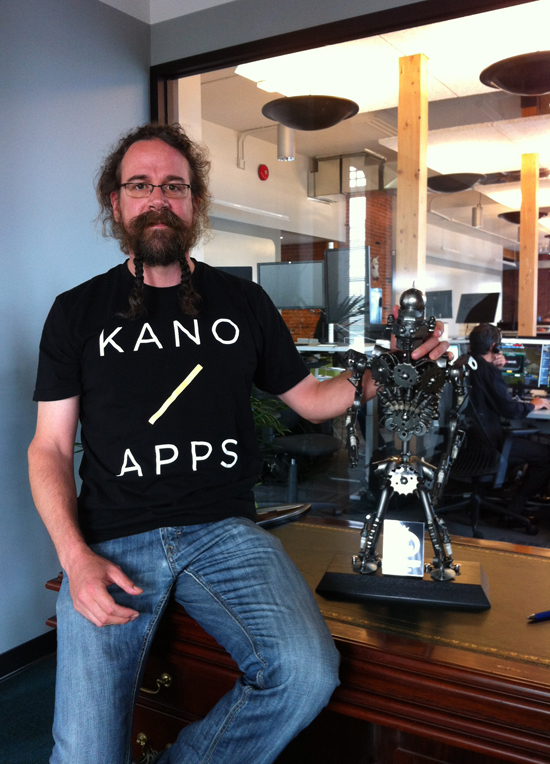 Kano isn’t far away and Inlight is close by. I’d like to see more of them here. MLW: What‘s your assessment of the tech sector in Victoria? What would you rate as excellent? CS: Talent. It’s very easy to get world-class talent in the engineering and creative fields here, which are now converging. And, as I lean back into the community I also see a wealth of new talent developing. It’s fantastic. MLW: What’s the most urgent problem facing the tech sector here? CS: Funding. We need to figure out access to funding. There’s gap between Angel investors and those who can give you $50K in a friend and family round. Where is the Series A funding going to come from? We need more Series A funding. There’s a few solid people in Vancouver and the VCs in Silicon Valley have a ton of money. It’s how to unlock that. I’d like to see a VC community in Victoria. VIATeC does the angel network and that could be more robust. I’m sad when I see good ideas, a great business plan and the right talent to bring it there. The question becomes “Are you moving to San Francisco or Boston? MLW: What are you most looking forward to in the next year? CS: Primarily my day job (General Manager at KIXEYE). I love this team. This is the fifth job I’ve worked on with some of these guys. We really love the brand and the business that KIXEYE has created is amazing. We’re on a mission to see free-to-play, browser-based gaming take a big chunk out of console and traditional gaming and more expensive consumer products for gaming. I want to see this win. It’s ours to lose. Outside of that, I’d like to see more little guys get bigger. I love the Accelerate Victoria program Dan and Rob are doing. I think we need a shared space for the post incubation consortium hub, so you can be a 2-person company and share rent and printers and resources and knowledge. I’d like to see that amped up so it can run on its own. I’d like to see the community become more organic. All worthy dreams.